The programme notes are below this post. You can just make out the great Italian alto player Rosario Giuliani behind the pianist (that’s Jim Watson on the keys, who has been playing with Manu Katché) and to Rosario’s left is Benjamin Herman, also on alto, also a great sax man and winner of the Dutch GQ Best Dressed Man Award. 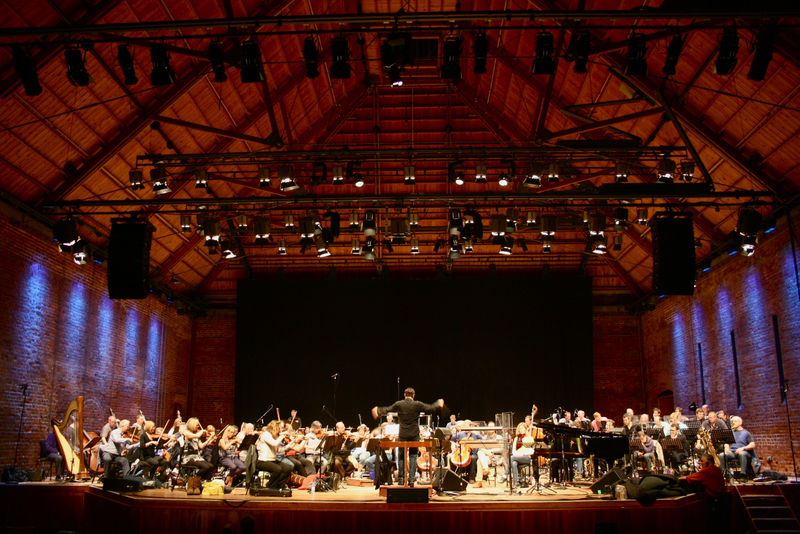 And at Snape Maltings the stage looked like this (again at rehearsal; photograph by Laura Mitchell). 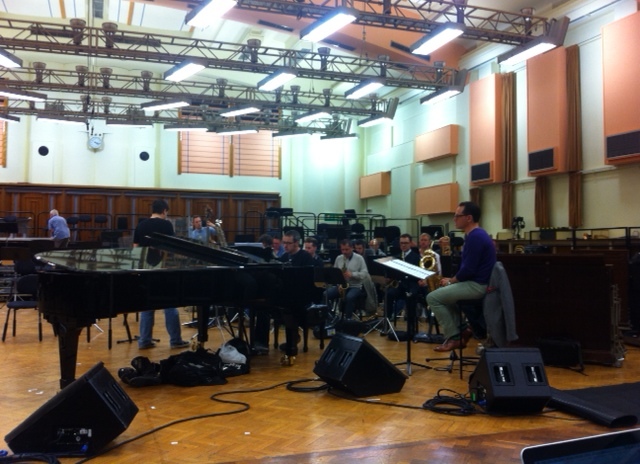 The BBC Concert Orchestra on the left, Guy Barker jazz Orchestra on the right. Ipswich afterwards, as pacemakers overloaded among the audience. This entry was posted in Music and tagged BBC, Benjamin Britten, jazz. Guy Barker, Kurt Elling, Radio 3 on June 13, 2013 by Robert Ryan.